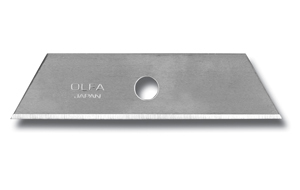 OLFA Safety Knife Flex-Guard SK-6 Model 1060595 is a revolutionary safety cutter that features an automatic protection system (A.P.S. 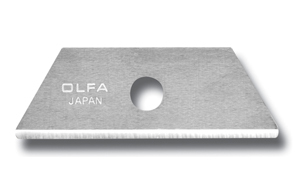 Technology), that helps reduce accidents by allowing the user to keep their thumb on or off the blade slide during cutting while keeping the hands safe from cuts and lacerations. Ergonomically designed handle and easy blade change help prevent injury and hand and wrist fatigue. Comes with 1 RSKB-2 blade. 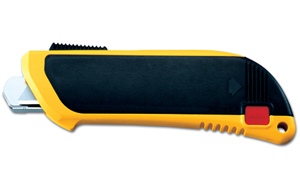 Uses RSKB-2 Rounded Tip Safety Blades. For cutting corrugate boxes, paper, cartons, packaging material, etc. OLFA Handles Are Guaranteed Forever.